Stella Stevens ~ Does she remind you of anyone? When I first saw some images of actress Stella Stevens I did a double take. Does she remind you of another famous blond actress? To me she slightly resembles Marilyn Monroe. Although definitely not identical, there are some facial similarities. I think it is maybe the eyes and eyebrows, but I’m not quite sure. The funny thing is that when you look at images of Stevens when she is older, she looks nothing like Monroe at all. Absolutely no similarity. So it must of just been the way Stevens was styled at that specific time. What do you think? Do you see any similarities between Stevens and Monroe? Stevens in the 1968 film How to Save a Marriage and Ruin Your Life. Learn more about Stella Stevens here. 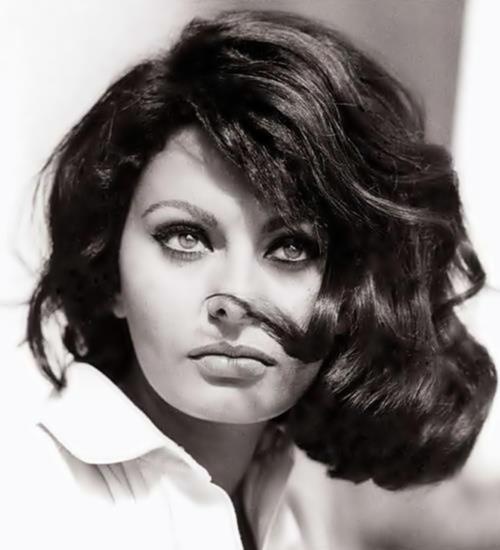 Sophia Loren with a slightly more natural makeup look where the focus is on her beautiful eyes. Loren’s hair looks so shiny and healthy and I love the way it is styled. Catherine Deneuve ~ All that hair! Catherine Deneuve, circa the 1960’s, with a voluminous bouffant accented by a black ribbon hairband. I love the earrings too! Singer, actress, and model Fran Jeffries. 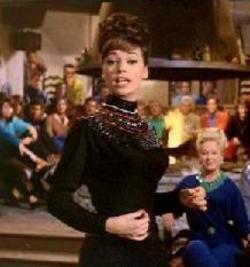 The picture above is a scene from the 1964 film The Pink Panther in which Jeffries had a minor role. In this scene she dances seductively while singing the song “Meglio Stasera (It Had Better Be Tonight).” It is a great scene and Jeffries looks absolutely gorgeous. You can view a YouTube clip of Jeffries singing “Meglio Stasera” in The Pink Panther (1964) here. Learn more about Fran Jeffries here. Jane Fonda, circa the 1960’s, looking cozy while wearing a striped sweater. Catherine Deneuve, circa 1963, keeping warm in France. I like her voluminous ponytail hairstyle in this picture! Claudia Cardinale looking cozy in a purple sweater while in Rome, Italy. Circa 1961. Photo by Paul Schutzer. I love Cardinale’s soft voluminous hair updo in this picture. 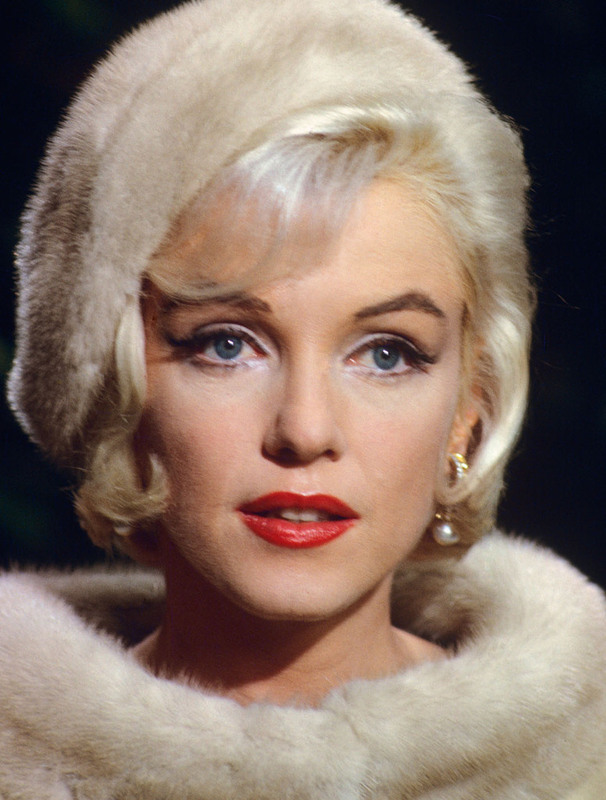 Marilyn Monroe wearing a fur ensemble. Beauty and Style (and Music!!) 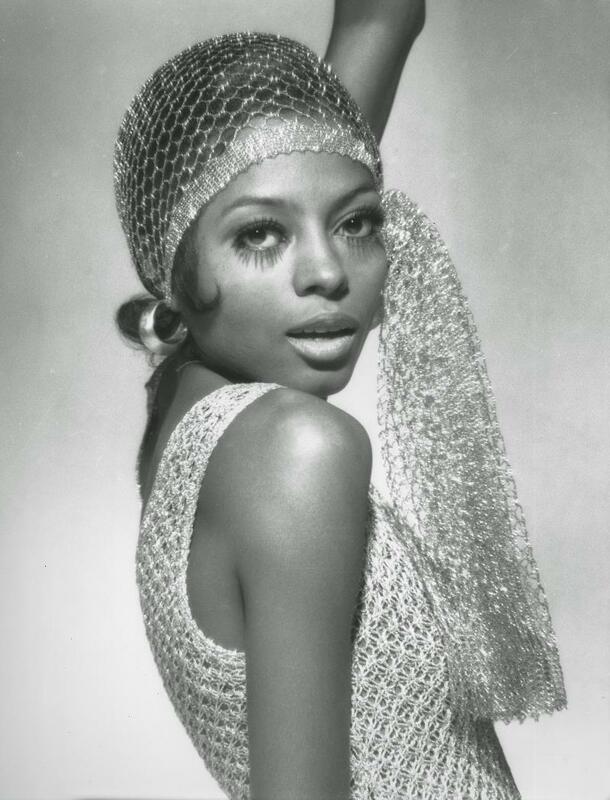 icon Diana Ross. Learn more about Diana Ross here.